It’s no secret that the rise of the Internet of Things (IoT) presents massive new security challenges. Heck, I’ve written about the issue here more than once. But one company claims that enterprise IoT also shows promise for addressing key security issues. 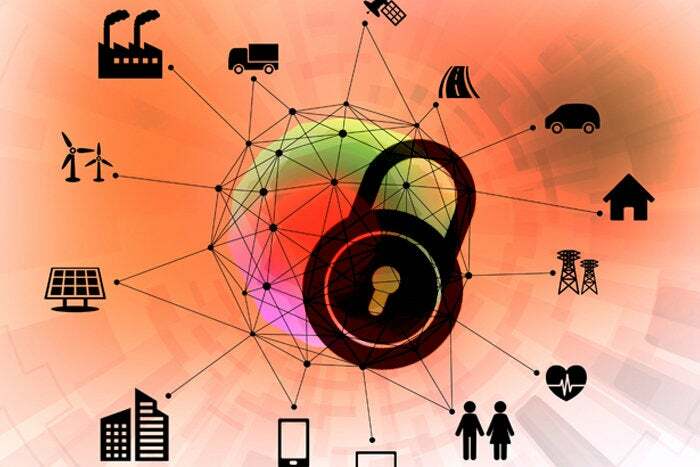 Lang cites McKinsey estimates claiming that 70 percent of the value created by IoT over the next decade will flow from business-to-business (B2B) applications. He says these B2B applications will use IoT technology to improve many elements of business operations, including security. Specifically, EIoT is positioned to help companies mitigate internal security risks. According to Lang, EIoT is a much better approach than traditional passwords, which constantly need to be updated and are easily leaked or stolen. More importantly, passwords and similar techniques are largely defensive, he says. Here’s how EIoT works: By adding sensors and connectivity to refrigeration units, automobiles, or assembly lines, vendors create “digital twins” — virtual representations of a physical object complete with key attributes and metrics. MicroStrategy applies this concept to people, creating a “digital badge” called Usher to enable the digital “twinning” of employees, partners and customers. “The device projects the badge holder’s identity to the system,” Lang says, and “can stream data about the person’s context and actions in real time” to power security and other analyses. Lang says MicroStrategy already uses Usher internally, and it is testing it with customers around the world. The concept makes sense, but I have to admit I find it a little bit creepy. Even in a workplace environment, I’m not sure I like the idea of a digital mini-me being tracked by my employer. While employers may have the right to monitor their workers’ movements and actions, the process might just as easily sap morale as boost productivity, especially in positions that require creativity and initiative. Even more worrisome, the technology seems easily transferrable into other environments, enabling comprehensive tracking in the real world. And that strikes me as more “big brother” than digital twin.